Peter Drucker is a name which will remain etched into the halls of management forever. His work in balancing the profits of a company to worker empathy is considered groundbreaking. 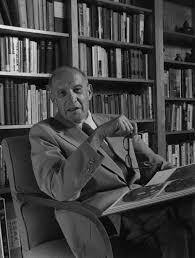 Drucker was strongly influenced by the lectures and studies of the famed economist Joseph Schumpeter and John Keynes. His focus was mainly on the people whom he considered the brick and mortar of any successful business. This resonates with the modern thought which directly links company performance with the mental state of workers. Peter Drucker graduated from Dobling Gymnasium in 1927 and soon thereafter found employment in Vienna. He then moved to Hamburg where he worked in the capacity of an apprentice at a cotton trading company. He then tried his hand at journalism and was employed by a financial newspaper. He later earned a doctorate in international and public law and in the early 20th century, Drucker left Germany for England where he rose to the position of chief economist at a bank. He then worked as a professor of politics, philosophy, and management until 1976. It was during this time that Peter Drucker with his ideas disrupted the prevalent norms across management studies. This was the first time that business management and psychology was balanced to constitute a synergic relationship for maximum profits. He brought in key tenets from various schools of thought across history, psychology, politics, and culture to create his own version of business management. It is famously known as management by objectives and is leveraged by many business houses to this day. These ideas were encompassed into what is today termed as Management by Objectives. Drucker did not believe in the famous assembly line design of Henry Ford. According to him, the entire process was people dependent and a weak cog in the wheel would make the entire process useless. This, he believed, only added to inefficiency and hampered quality as the process was only as strong as the workers working them. Management by Objectives (MBO): This pioneering idea where workers were not seen just as a means of profit but a valuable resource to the running of an optimized process sent tremors of change across industries. If certain key tenets were to be followed, Drucker believed that the performance of workers would improve drastically along with their mental state. This would mean more involvement from management to include the workers in the daily operations of the company. According to this school of thought, goal creation should be a joint effort across all levels of management, starting from the CEO to the plant worker. If the generation of objectives could be balanced with the psychological state of the workers, great things could happen. The above practices, though still in use today, are not explicitly called MBO in modern times as advancements in technology have made it possible to perform advanced forecasting studies based on the various behavioral metrics associated with workers. The ideas of Peter Drucker have long been considered as the foundation stones of modern business management theories. His methods to reduce bureaucracy in management processes were key to the development of modern management practices. Lean management is one key outcome of his work which is still leveraged today. The post Peter Drucker and His Contributions to Business Management Processes appeared first on Shmula. Executive Leadership: What Is Your Role?